Product code: ES7479 Categories: Sold Items, Sold Jewellery. Here is a very elegant Edwardian era antique 9ct rose gold turquoise locket that has such a beautiful warm rose colour that is highlighted with the elegance of the turquoise in the centre. This simple yet elegant combination on the rose gold and the turquoise come together so well, and will look so beautiful when worn around the neck. With the ability to hold two photos inside, the outside of the locket measures 24.5mm in diameter. Fully hallmarked for being made in 1907, this is a very lovely and elegant antique photo locket that will always be cherished. Tag: Antique rose gold locket. Edwardian era antique 9ct rose gold turquoise locket. Antique photo lockets have always been so popular. Once photos of loved ones are placed inside they become so much more personal. 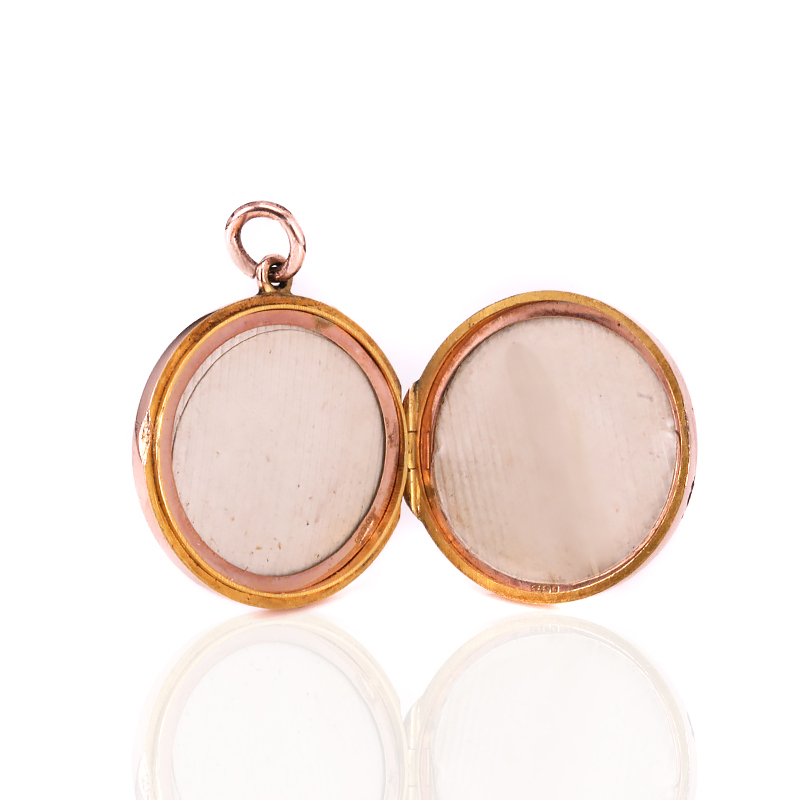 Often double sided to allow two photos, antique lockets were popular in the late Victorian and Edwardian eras. With distinct styles and designs as well as many being hand engraved instead of machine engraved or simply stamped out, there is nothing as unique as an antique locket around your neck.